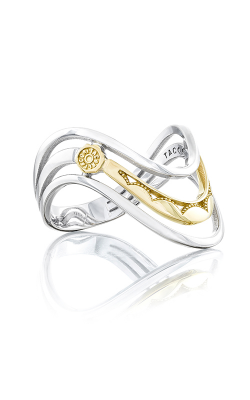 Tacori is a fine jewelry brand based in Southern California. Their pieces are created from an artist's sketch turned into a mold. The mold is filled with metal, and the metal cast is finished into exquisite jewelry. 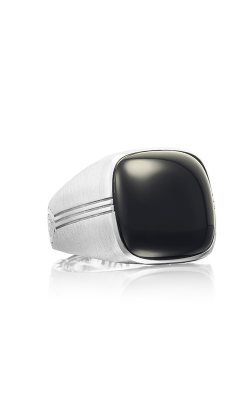 Many of their pieces feature a signature style element called the crescent. This silhouette consists of interlocking arcs that decorate a ring or pendant. Their partnership with The RightWay Foundation shows their commitment to fostering the local community, but Tacori does not stop there; all of their products are made with conflict-free materials. While the designer offers many types of jewelry, their wedding bands and engagement rings are the most popular pieces. Most collections include traditional engagement rings with a center stone as well as eternity bands that work as wedding bands or stacking rings. The Clean Crescent collection highlights the iconic half-moon design element, and the newer Petite and Clean Crescent lines showcase a center diamond without sacrificing signature style. In the Reverse Crescent collection, the arcs are inverted for a lace-inspired look. Sculpted Crescent rings have bubbly, contoured bands that evoke it-girl exclusivity. In contrast to the simpler collections, there are several Tacori designs with added drama. Inspired by the Russian word for "lace," the Dantela collection is romantic and feminine. Most Dantela rings have diamond halos around the center stone. Rings in the Ribbon collection are slightly more sizable. Interwoven shanks give the appearance of diamond-studded bows along the band. The Adoration collection rings do not have center stones; however, crescent shanks and rows of diamonds make each ring exquisite. Adoration rings work double-duty as a wedding band and engagement ring. The crown jewel of the selection is the RoyalT collection. Available exclusively in platinum and designed for diamonds two carats or larger, RoyalT rings are as large as they are unique. 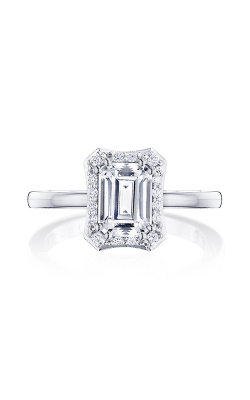 Why Shop for Tacori Fine Jewelry at Thom Duma Fine Jewelers? Thom Duma Fine Jewelers has served the Warren, OH area for 115 years. A complete remodel in 2002 resulted in the beautiful sales floor that customers enjoy today. Over the last century, the business has changed hands a number of times, with Thom Duma Jr. at the helm today. Our namesake and Thom’s father, Thom Duma, Sr., helped to shape the company through innovation and tenacity; our goal today and always is to honor the hard work of our predecessors by always striving towards success. For more information on our products and services, please visit our website or call us at 330-393-4696. We are happy to assist you in any way that we can.